Kuwait observes National Day. This small country (about the size of New Jersey) is located on the northeastern Arabian Peninsula. About 2.6 million people live in the country. Kuwait City is the capital, and petroleum products compose the largest industries. Hiram R. Revels in 1870 became the first African American to be elected to the Senate. He represented Mississippi and served from 1870 to 1871. Sixteenth Amendment to the Constitution was adopted in 1913. Congress could implement an income tax. Prior to the Sixteenth Amendment, people paid indirect taxes through buying items that were taxed. Frank Bonham (born Los Angeles, California, 1914; died 1988) wrote at least 48 westerns and novels for young adults. His books include Nitty Gritty and Durango Street. 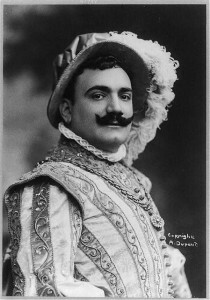 Enrico Caruso (born Naples, Italy, 1873; died Naples, Italy, August 2, 1921) was a famous operatic tenor. Ida Lewis (born Newport, Rhode Island, 1842; died Little Rock Island, Newport, Rhode Island, October 24, 1911) was a lighthouse keeper. She is best known for making many daring rescues at sea. Children could read Rowing to the Rescue: The Story of Ida Lewis, Famous Lighthouse Heroine by Doris Licameli. Pierre Auguste Renoir (born Limoges, France, 1841; died Cagnes-sur-Mer, Provence, France, December 17, 1919) was an impressionist painter. One of his most famous works is The Luncheon of the Boating Party. Later in his life, arthritis crippled his hands. He had paint brushes tied to his hands and learned to paint in broader strokes. Children could visit a website at: http://www.pierre-auguste-renoir.org/ . Cynthia Voight (born Boston, Masachusetts, 1942) is an author who writes for children and young adults. She wrote Dicey’s Song, the Newbery Medal winner for 1983. She also wrote A Solitary Blue, which earned a 1984 Newbery Honor Award. Voight received the Margaret A. Edwards Award in 1995 for her body of work. Children could view her website at: Cynthia Voight.